As moms with full-time careers, Mary Drennen and Tiffany Vickers Davis know the stress of rushing home to put a meal on the table for their family after a long day on the job. With Nourish Foods, they are helping make life easier for busy moms and dads nationwide. 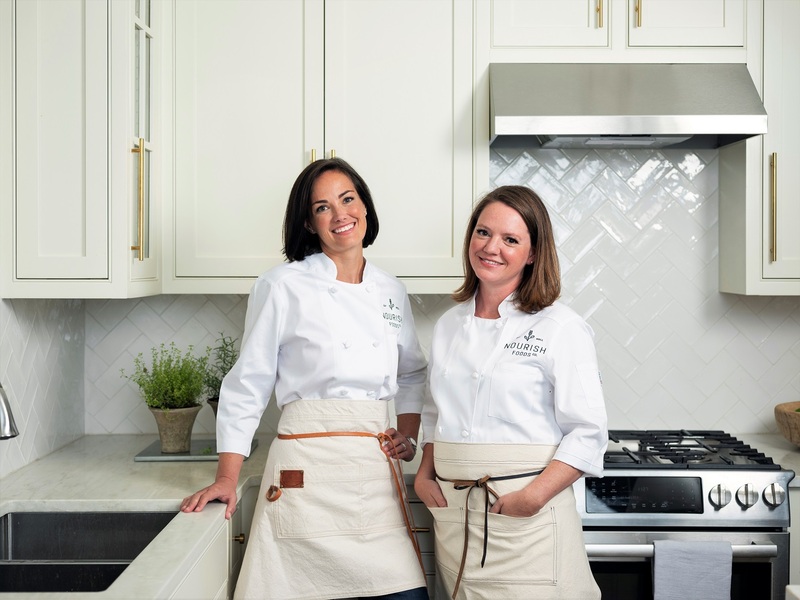 Four years ago, Drennen and Davis launched Nourish Foods, a Birmingham-based meal delivery service that provides healthy food options for people on the go. 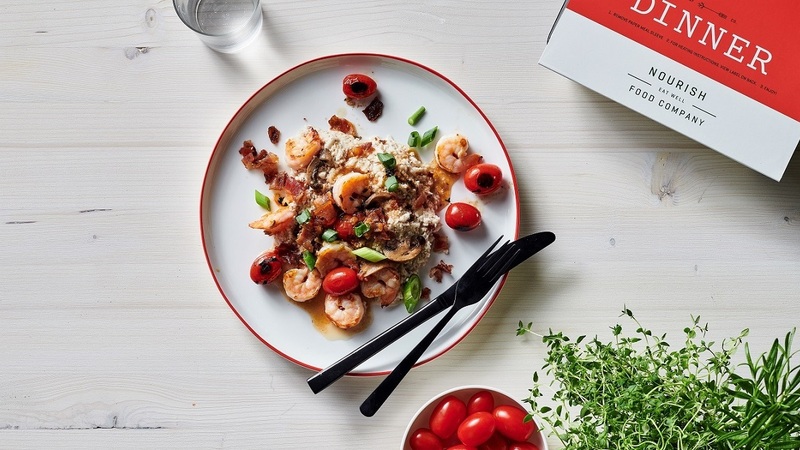 From that seed, the concept has exploded, and the company now provides weekly prepackaged meals to 1,200 customers in 35 states. Davis added with so much to do every day, it’s a benefit to have someone else take care of dinner or lunch. Nourish Foods is an Alabama Maker with a fresh answer to ‘What’s for dinner?’ from Alabama NewsCenter on Vimeo. The two friends, both trained chefs, got the idea of starting their own business while working together in the test kitchen at Cooking Light magazine. Drennen stepped out on her own first when she learned in 2012 that a local fitness company was searching for a meal provider for its gyms. Within three weeks, Drennen said she was so busy cooking and delivering food that she soon had to quit her day job to focus solely on the new venture. After two years, Davis came on board, and the two decided to go it alone with their own company. Nourish Foods has become a success, with 23 staff members, including six full-time chefs. Although the company delivers many meals in the Birmingham area, 60 percent of its customers live in other states, such as Texas, Florida, Georgia and Tennessee. Drennen and Davis, who both feel at home in the kitchen, said the biggest challenge has been learning the logistics side of the business. Drennen said Nourish Foods is different from most of its competitors. While many companies focus on helping people lose weight, Nourish Foods takes a more holistic approach by providing handmade, healthy meals that will fit any appetite. 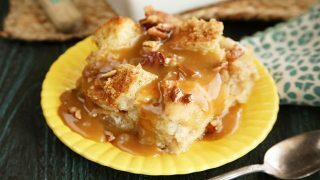 Drennen said all the entrées and side dishes are made from “scratch,” even down to the mayonnaise or chicken stock used in some of the recipes. 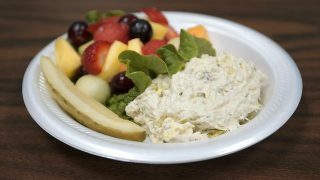 The company offers flexible options for customers, with meal plans designed for individuals, couples or families, Drennen said. Menu offerings change weekly, providing customers with a larger variety of dishes. “One of the things we’ve tried to do is come up with menu items that are familiar to our clients but put a healthy spin on them that they may not have considered,” said Drennen, citing recent examples such as almond fried chicken breast and spaghetti squash pizza bake. Drennen said she had a passion for cooking even as a young girl. It was not until college that Davis got her first real experience in the kitchen. It was even later, after several years of working in the public relations field, that she trained to become a chef. Ordering meals from Nourish Foods is easy and convenient, Drennen said. Each Sunday, customers receive a text with the new menu options for the week. The meals are delivered directly to customers’ doorstep. When it’s time to prepare lunch or dinner for the family, it’s as simple as popping one of the meals into the oven or microwave. The product: Foods prepared and delivered to your home with constantly changing menus. 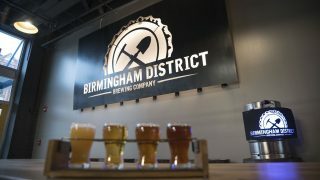 What was brewing underground 150 years ago is appreciated at this new Magic City brewery.